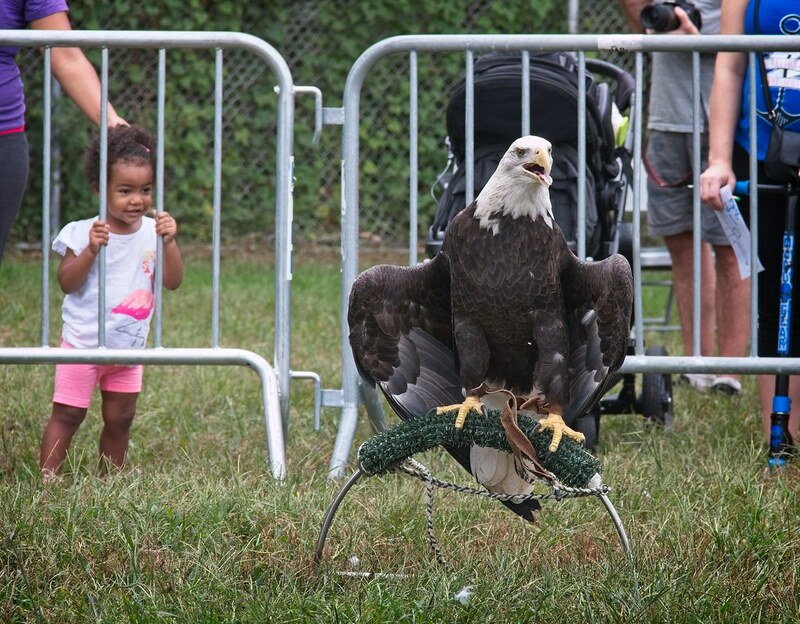 Below are some highlights from Raptorfest 2017, which was held in Van Cortland Park in the Bronx this last Saturday. 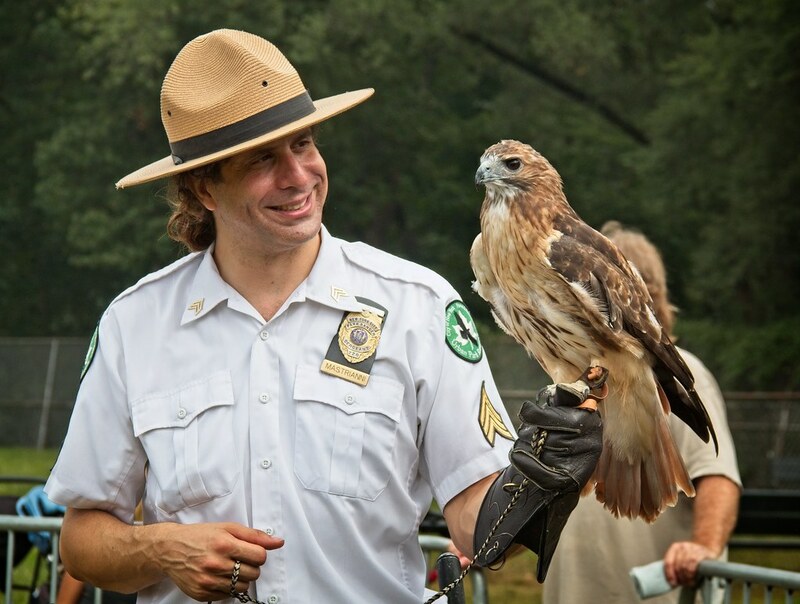 Thanks to the NYC Urban Park Rangers for hosting the event, and to Bobby and Cathy Horvath from WINORR who generously shared their birds and patiently answered a million questions. I love this event because it's a positive educational experience, and a lot of fun. 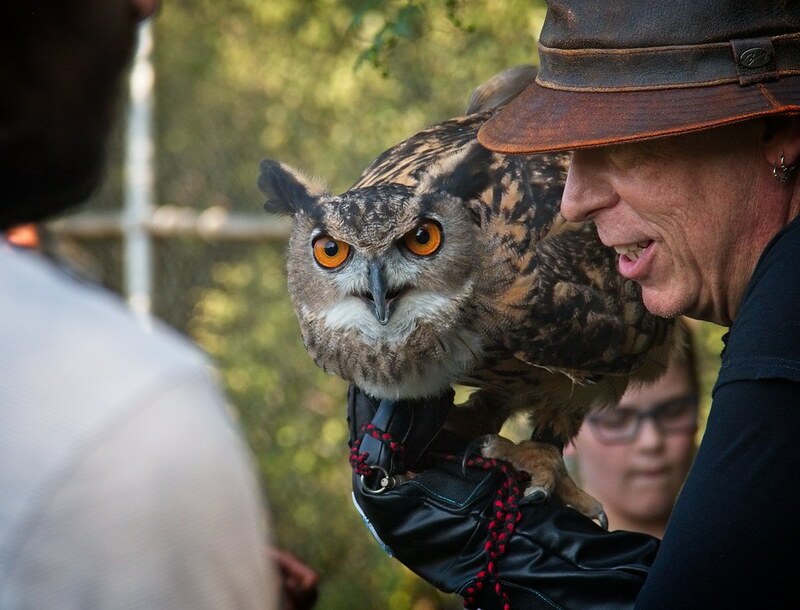 Raptorfest gives us the rare opportunity to see birds up close that we would not normally get to see in the wild. 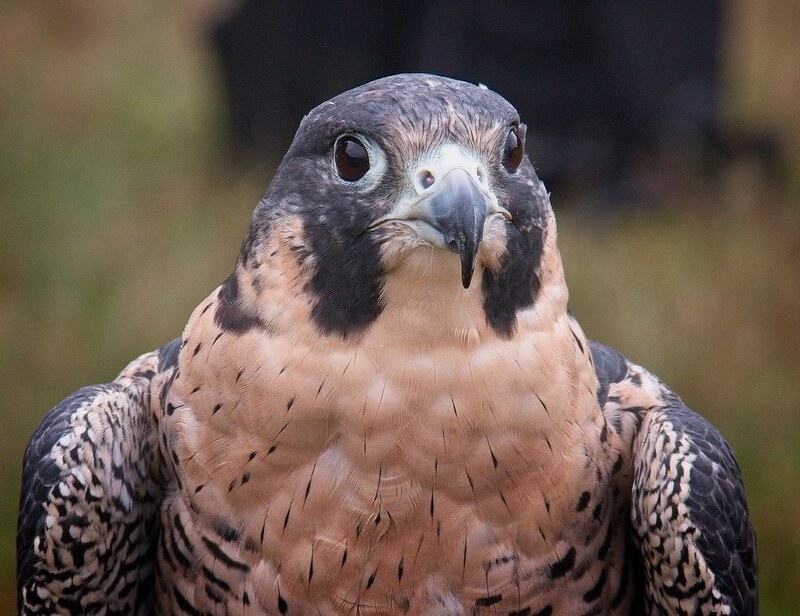 For instance, this Peregrine Falcon. 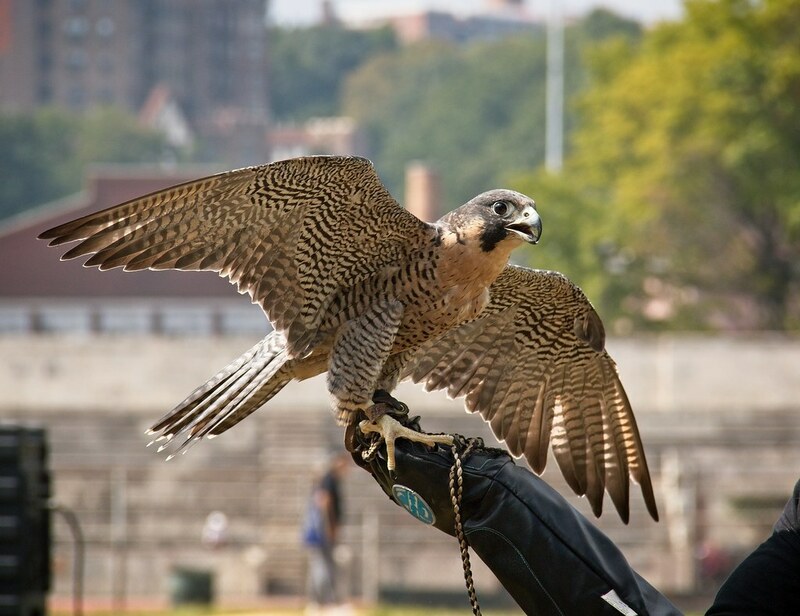 We see Peregrines flying over the city and perching on high buildings fairly often, but I've never been just inches away from one. We do often see Kestrels in the city at street level, but it's still a thrill to see one in person. 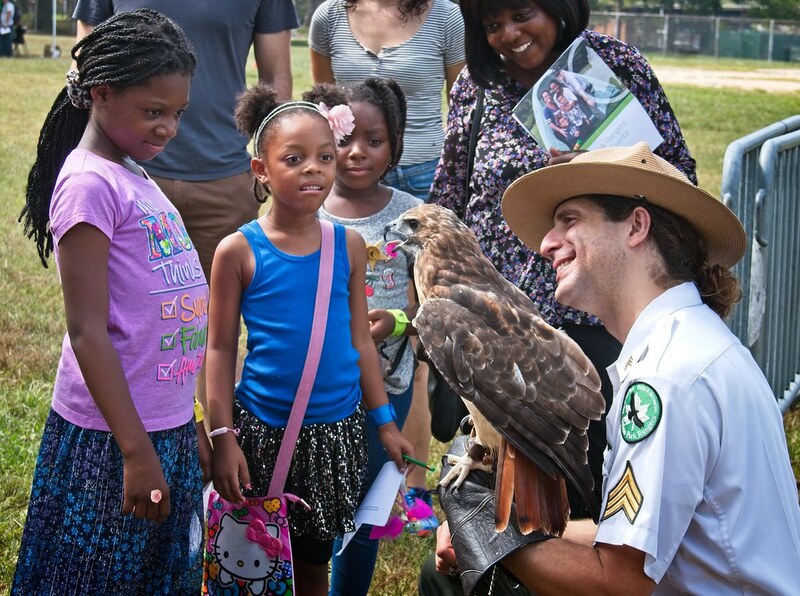 Below, Ranger Rob introduces a Red-Tailed Hawk to some girls. 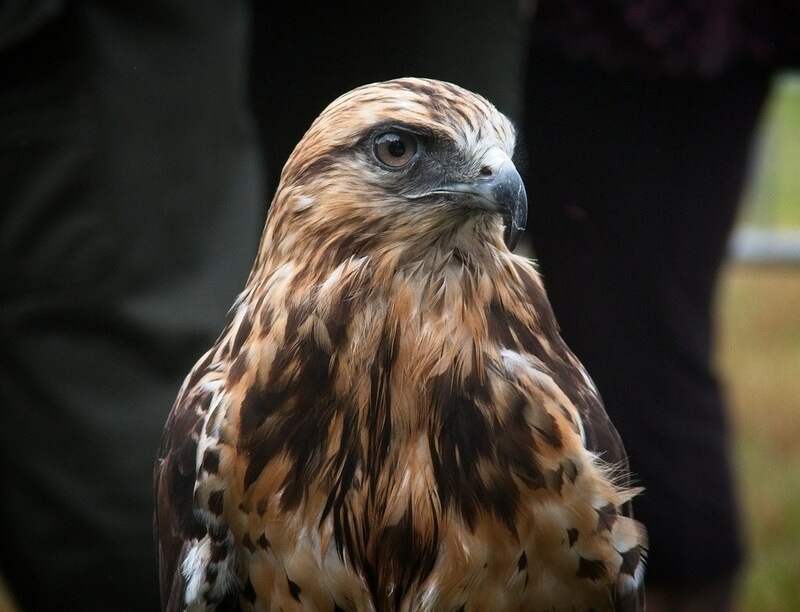 My personal fave is this Rough-Legged Hawk named Gypsy. 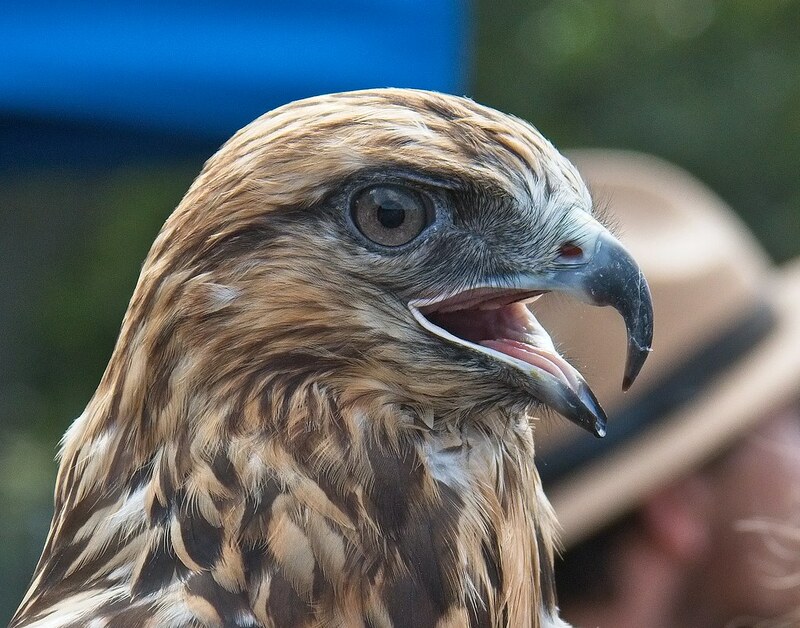 If she looks familiar, it's because I've photographed her before at Raptorfest 2014. 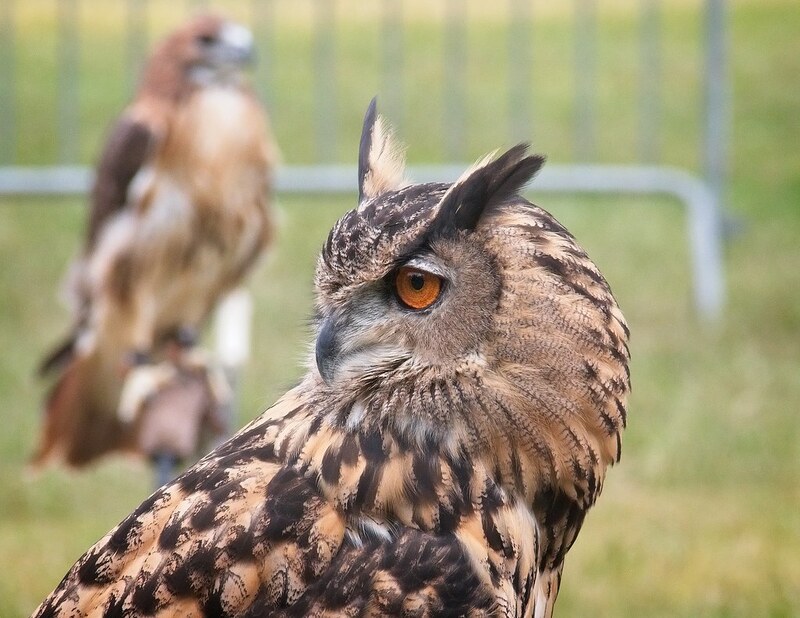 Her coloring and feathers are gorgeous. 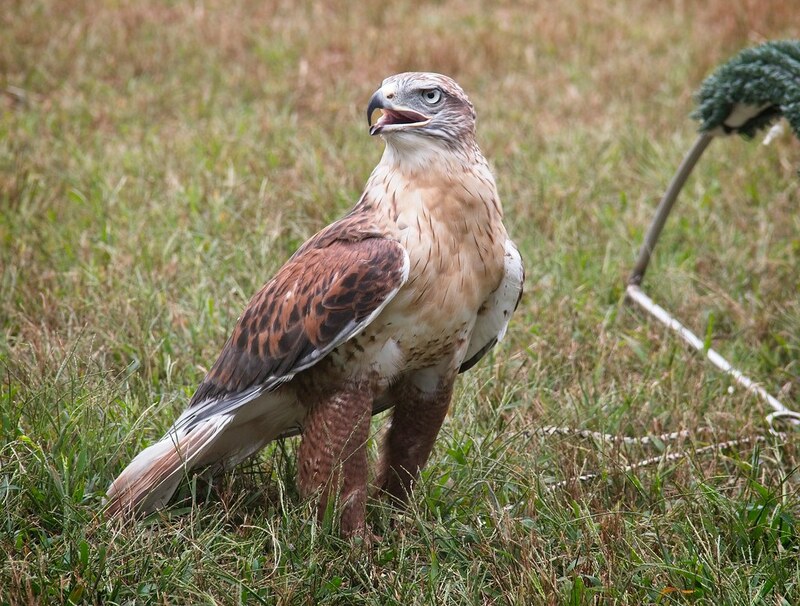 This Ferruginous Hawk is native to the west, so we're not likely to see one flying around this area. Note the pale eyes. 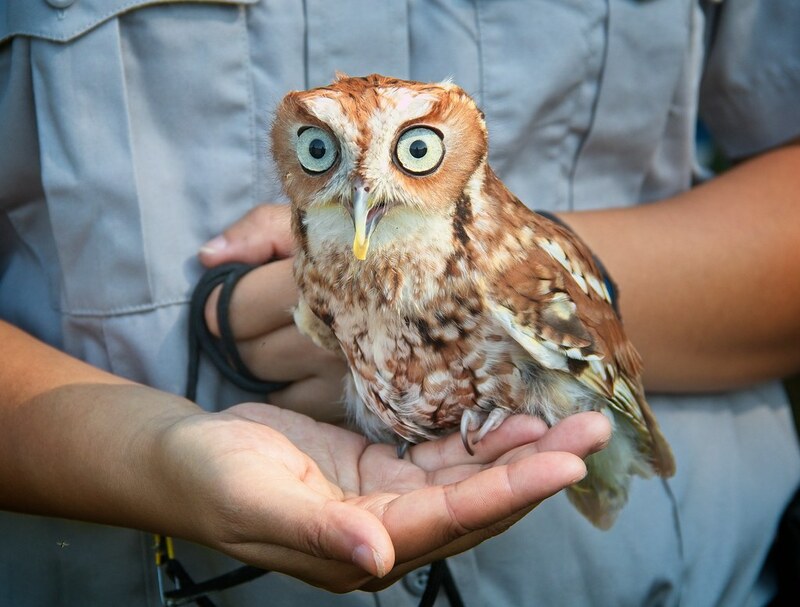 This is an Eastern Screech Owl. 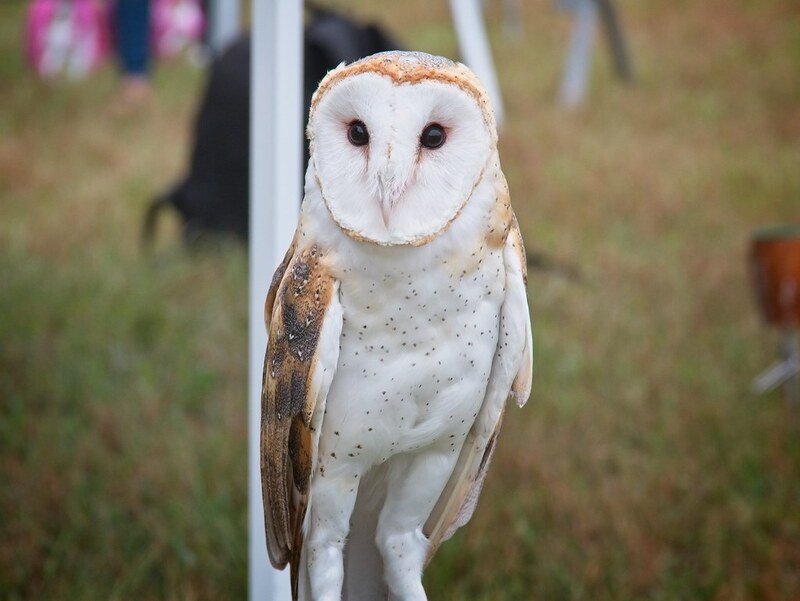 This otherworldly Barn Owl announced its presence with its terrifying voice. 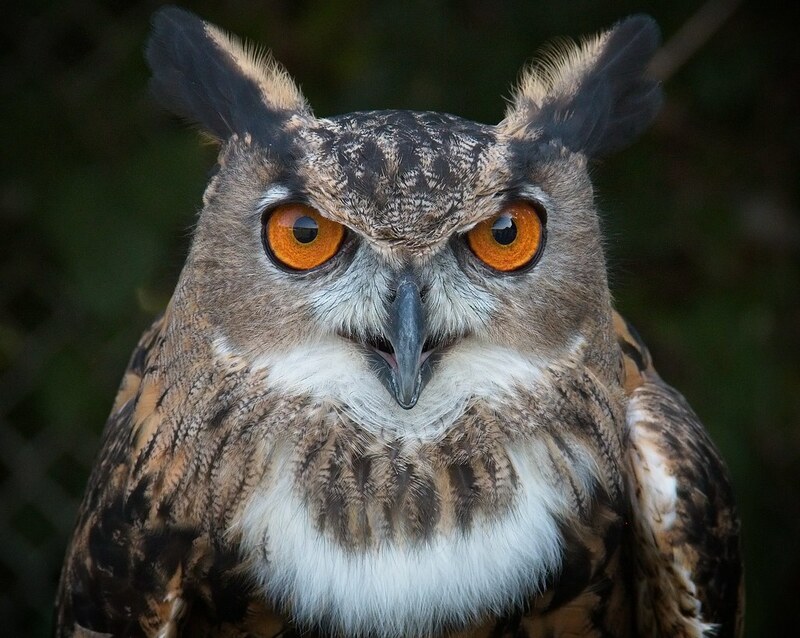 Much larger and intimidating than the Barn Owl s this Eurasian Eagle Owl. The handler told me it weighs about ten pounds. 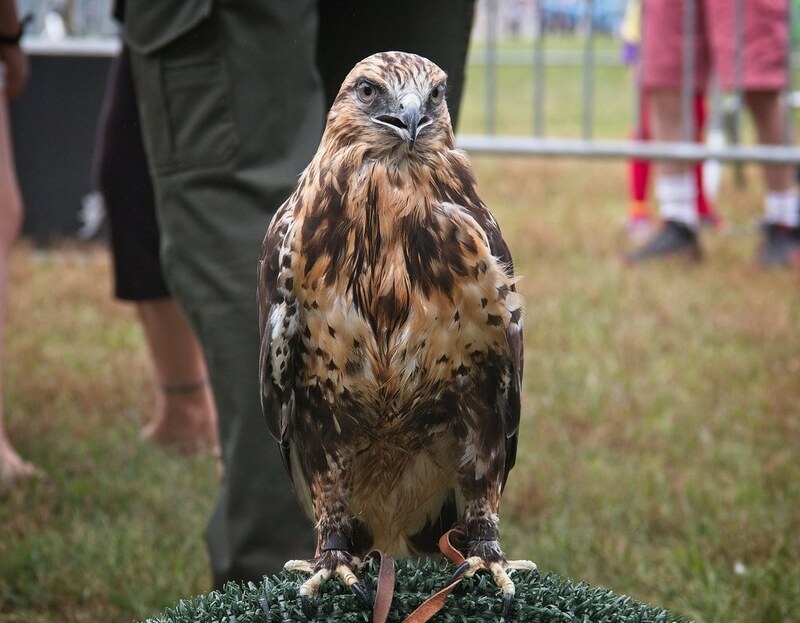 Note the huge talon. I did not enhance the color on these photos - the bright orange eye color is all natural. 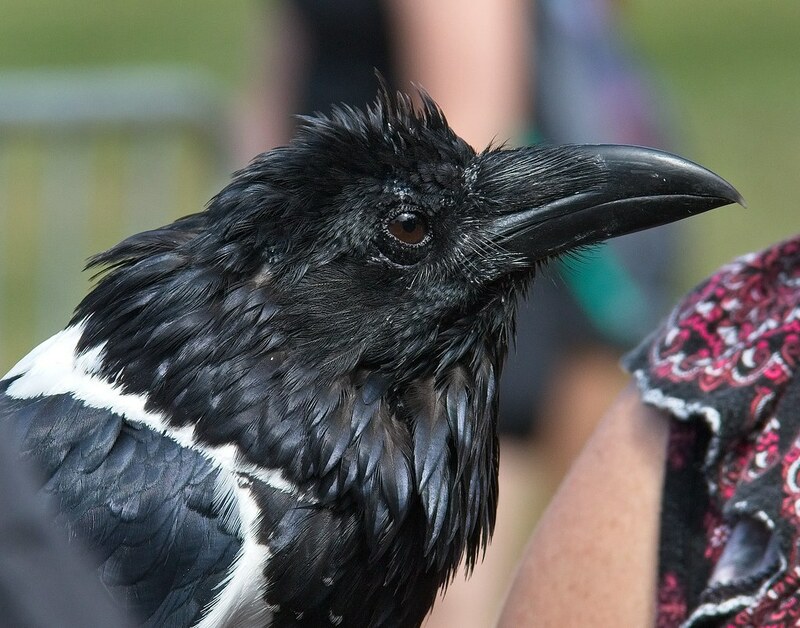 I was really intrigued by this Pied Crow, who is native to Africa. Apparently, this one talks, although he was shy while I was there and did not vocalize. 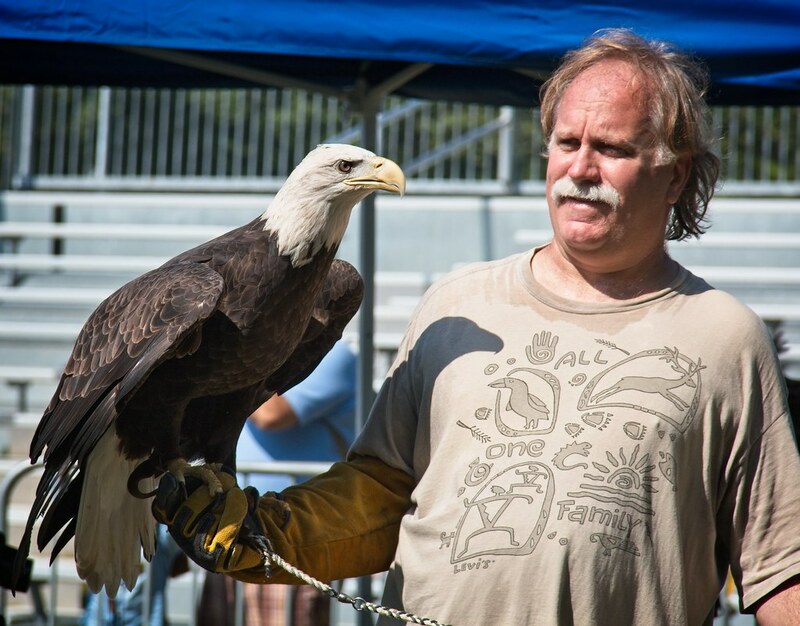 Finally, you can't have Raptorfest without a Bald Eagle. 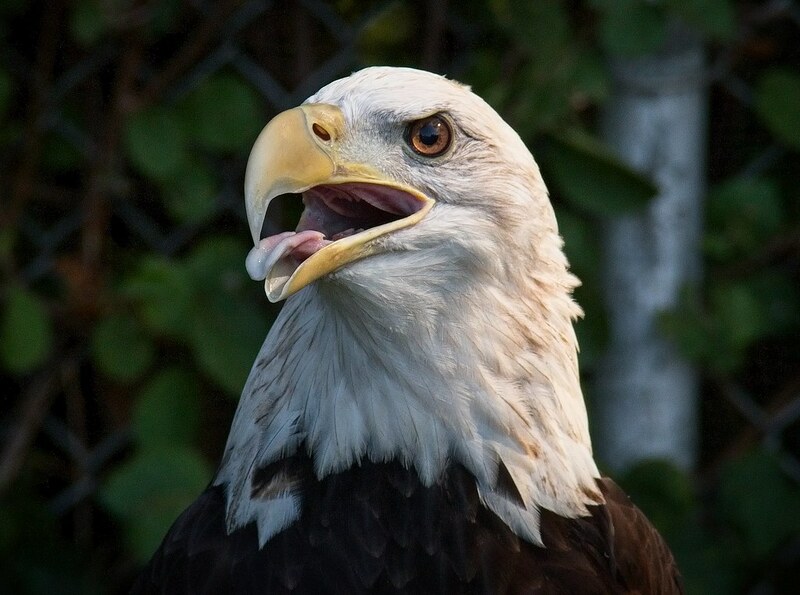 This particular eagle is blind in one eye, and is unable to live in the wild. 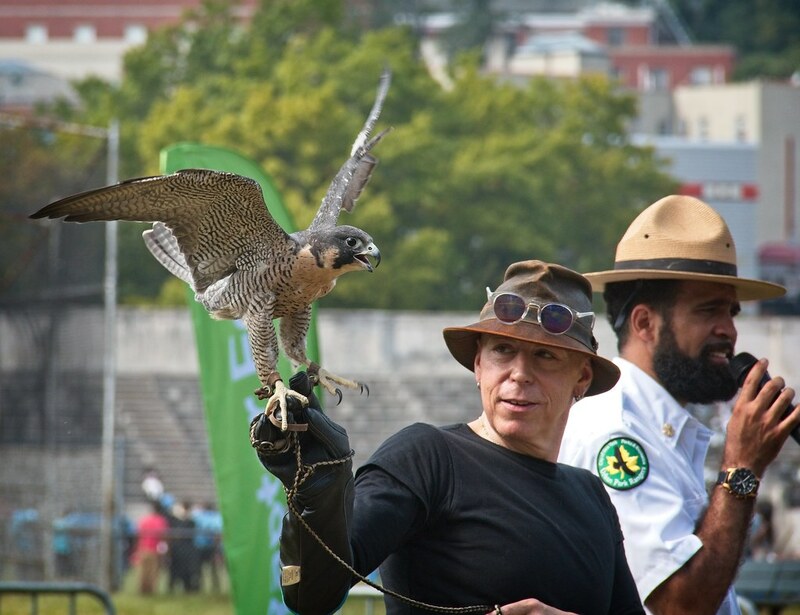 See many more photos of Raptorfest 2017 here. 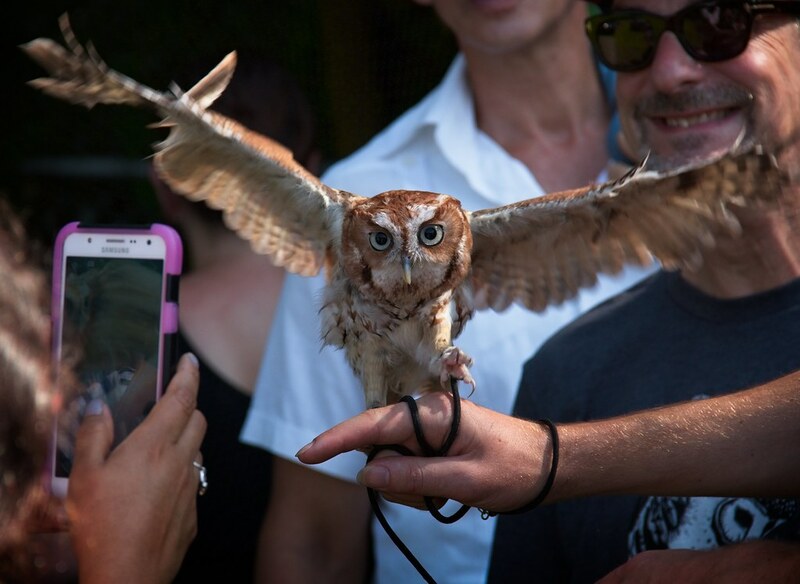 Wildlife in Need of Rescue and Rehabilitaion (WINORR) is a non-profit volunteer organization that works tirelessly to care for sick and injured wildlife in the New York City area. If you would like to help, please consider a donation to their fundraiser.